What's more to blame for obesity: Lack of exercise or eating too much? Both lack of exercise and consuming too many calories can certainly contribute to gaining extra pounds, but a new study suggests that the former may be the main culprit in the obesity epidemic in the U.S. And women younger than 40 appear to be particularly vulnerable to the risks of a sedentary lifestyle. The study, published July 7 in the American Journal of Medicine, found that in the last 20 years, the number of women in the U.S. who reported no physical activity in their free time increased from about 19 percent in 1994 to nearly 52 percent in 2010. In men, the number rose from about 11 percent in 1994 to 44 percent in 2010. 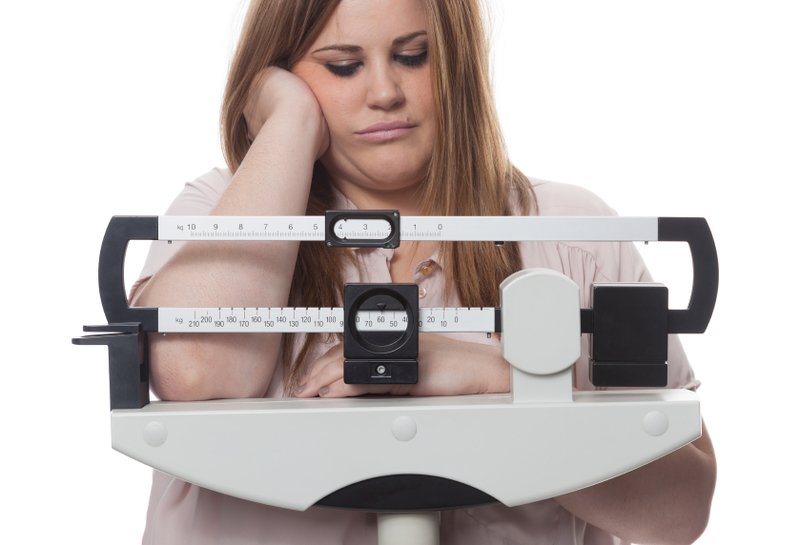 Meanwhile, the average BMI (body mass index) increased by 0.37 percent per year in both men and women, rising most dramatically in women ages 18to 39. During the same time period, overall caloric intake did not change. "Our findings do not support the popular notion that the increase of obesity in the United States can be attributed primarily to sustained increase over time in the average daily caloric intake of Americans," study author Dr. Uri Ladabaum, an associate professor of medicine at Stanford University School of Medicine, wrote in the study. According to the Centers for Disease Control and Prevention, more than one-third of U.S. adults are now obese. The researchers looked at possible reasons for the escalation of obesity by examining people's exercise habits and caloric intake. The researchers did not focus on what exactly the people ate or drank, but they saw that overall daily consumption of calories, fat, carbs and protein had not changed much over the years. However, the researchers noted two groups in the study who differed from that average. Among women who reported no leisure-time physical activity, caloric intake did increase, while men with high levels of physical activity in their leisure time took in fewer calories. The researchers also examined the rise in abdominal obesity, which is a marker for mortality even in people with average BMIs. Experts define abdominal obesity by waist circumference of 34.65 inches (88 cm) or greater for women, and 40.16 in (102 cm) or greater for men. The results showed that the average waist circumference rose by 0.37 percent per year in women and 0.27 percent per year in men. "The prevalence of abdominal obesity has increased among normal-weight women and overweight women and men," Ladabaum said. "It remains controversial whether overweight alone increases mortality risk, but the trends in abdominal obesity among the overweight are concerning in light of the risks associated with increased waist circumference independent of BMI." Pamela Powers Hannley, managing editor at the American Journal of Medicine, who wrote a commentary accompanying the study that looked at the results from a socioeconomic perspective. She suggested that many people, particularly young single mothers, may be just too busy trying to make ends meet in the aftermath of the economic crisis. "Is it any wonder that Ladabaum et al found such a dramatic increase in leisure time inactivity among young women?" Powers Hannley wrote. "If you are spending your time and energy just eking out a living for your family, it's not surprising that you're not exercising. " She called for action to tackle the problem of obesity in the U.S. "From encouraging communities to provide safe places for physical activity to ensuring ample supply of healthy food to empowering Americans to take control of their health, we must launch a concerted comprehensive effort to control obesity," she wrote.